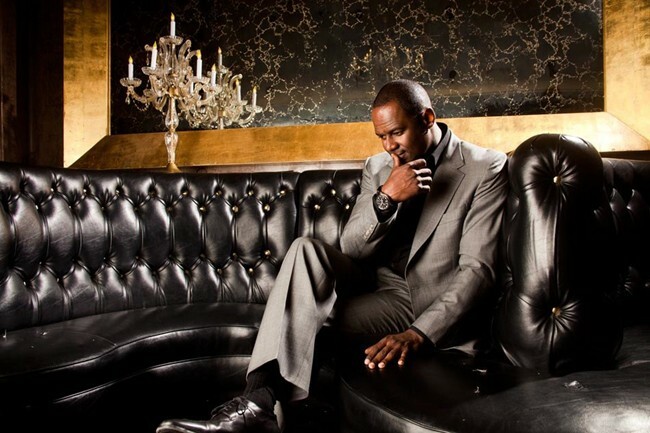 As an artist who needs no introduction, Brian McKnight has earned himself a spot in contemporary music history. He has released a dozen albums to date, 7 of them have gone platinum, with several going 2 and 3x platinum, and he has sold over 20 million albums worldwide. McKnight is also a multi-instrumentalist who plays nine instruments including piano, guitar, bass, drums, percussions, trombone, tuba, flugelhorn and trumpet. In an industry known for a constantly revolving door of artists, McKnight has easily established himself with an enviable record of chart consistency, has toured successfully for over a decade, and has collaborated with performers across every genre including Quincy Jones, Justin Timberlake, Mariah Carey, Diddy, Christina Aguilera, Justin Bieber, Rascal Flatts, Nelly, Vanessa Williams, Willie Nelson and Kenny G.
Born in Buffalo, New York, Brian’s musical career began in childhood when he became a member of his church, NY choir and a band leader for his high school, Sweet Home High School. By the age of 19, he signed his first recording deal with Mercury Records subsidiary, Wing Records. In 1992, his self-titled album “Brian McKnight” was released followed by “I Remember You” (1995) and “Anytime” (1997). Anytime sold over two million copies and was nominated for a Grammy. In 1999, McKnight released Back at One on Motown Records, which sold over three million copies. Along with several Grammy nominations, Brian McKnight has been the recipient of American Music Awards, Soul Train Awards, NAACP Image and Blockbuster Awards, and Billboard Songwriter of The Year. He has crossed the boundaries of every medium. He has hosted "Soul Session Countdown with Brian McKnight" on BETJ. In addition, "The Brian McKnight Morning Show" on KTWV the Wave Smooth Jazz radio station, was a Top 5 rated show 2 years running. In 2009 Brian started hosting his own radio show "The Brian McKnight Show" which ran in over 60 markets and was syndicated through ABC Radio. Brian also hosted his own nationally syndicated TV show "The Brian McKnight Show". Brian has also used his vast industry knowledge as a red carpet host for Extra! and in 2007, McKnight stepped into Broadway with a successful run as Billy Flynn in Chicago. Brian was also a contestant on the Donald Trump hit show "Celebrity Apprentice" and is currently touring nationwide in the JeCaryous Johnson play "Cheaper to Keep Her" with Vivica A. Fox.